Is there anything that chambray doesn't go with? I love that you can literally pair it with anything in your closet and it can totally make the outfit. 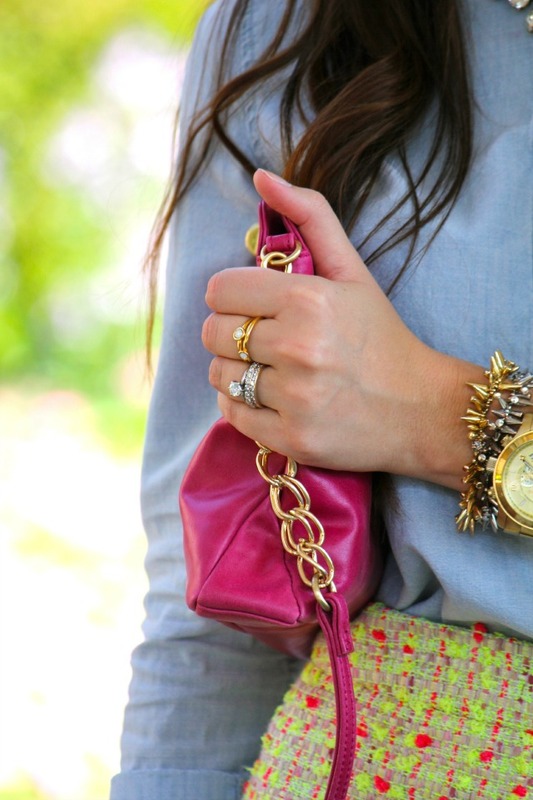 I'm dying to get this little number for Fall--chambray + sparkle? Yes, please! P.S.--The winner of the renegade bracelet is Lindsey K! Congrats and email me to claim your bracelet! beautiful outfit. Love that neon pattern skirt. That skirt is beautiful! And I love the sweet and spark bracelet, I actually ordered a brooch from there last night! 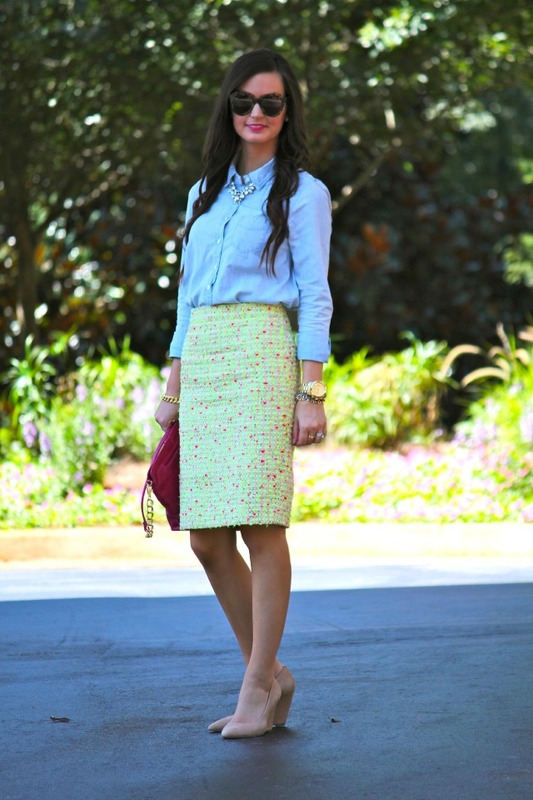 I love that skirt so much, and it's perfect with the chambray! such a lovely combo!! very pretty!! 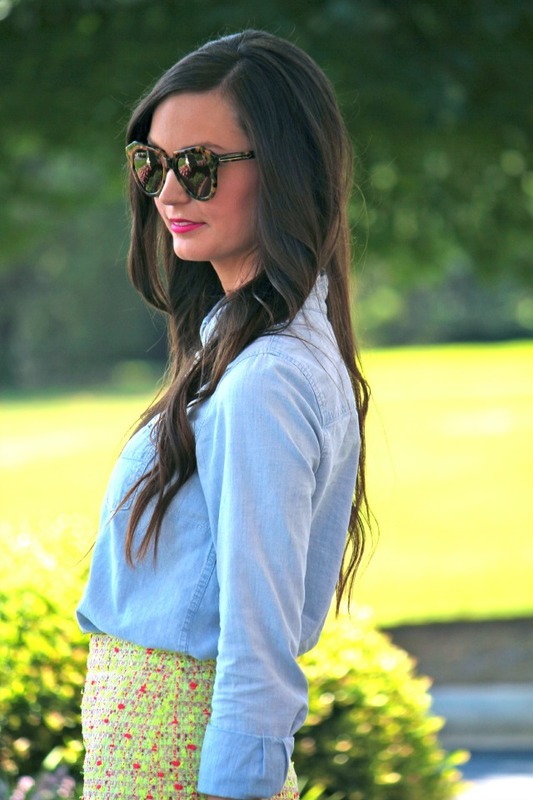 Love chambray with that skirt! Perfect outfit! I've been keeping my eye out for that pineapple chambray top too! You look fabulous. 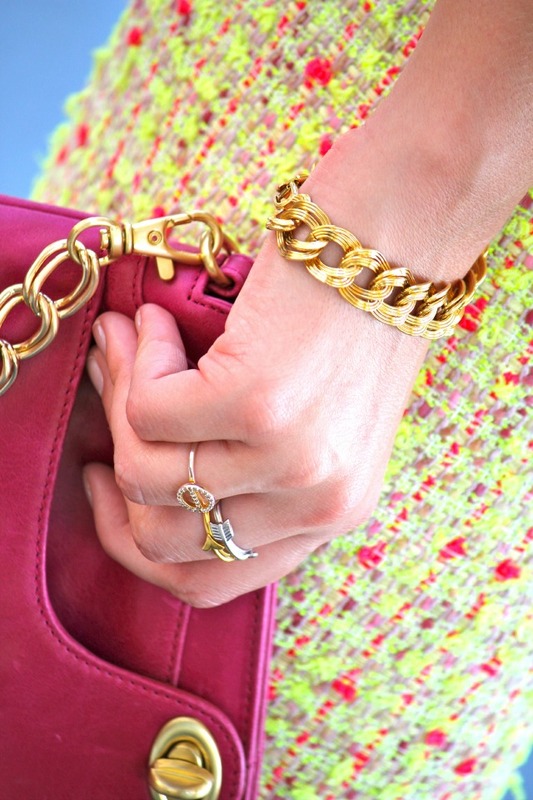 That skirt is so cute (currently loving bright colors). Glad you're lovin' your spark! I love everything here! I am dying for that studded J Crew shirt too!